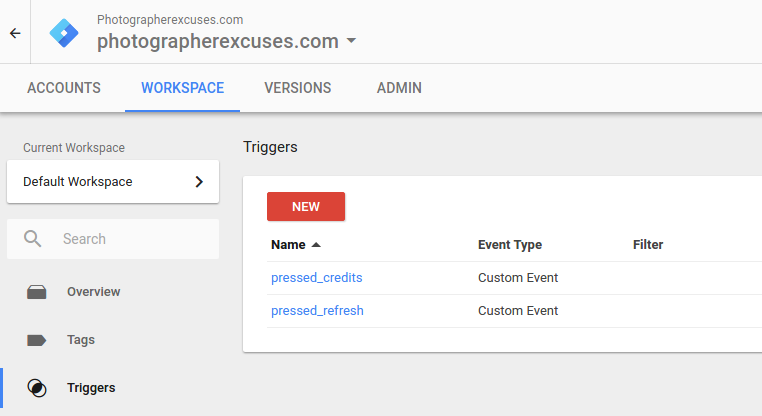 This post is part on the series how we built photographerexcuses, we wanted to track how many times our visitors clicked the excuse / refresh button or the link to our website. Recording events is fairly easy. All you need is to push an object into the global dataLayer object, that will be on your page if the Tag Manager script has loaded successfully. and investigate the output in the developer console of your browser, before you record all the events. Don’t Give me Excuses, Give me Results! 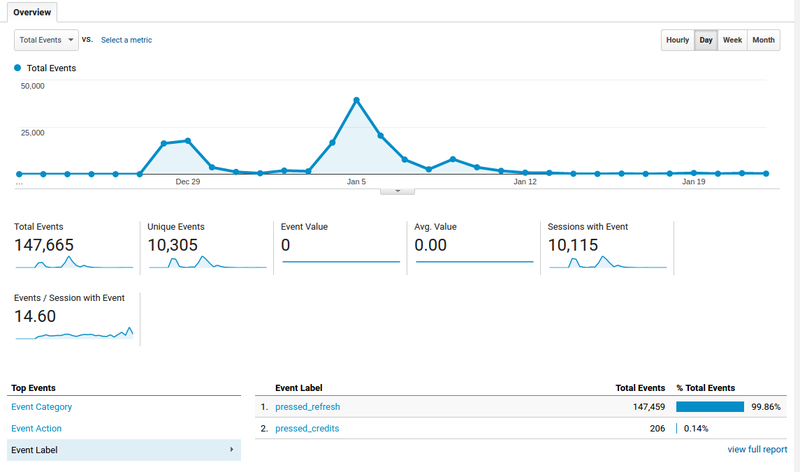 To see your events, you can log into your Google Analytics account and pick Behavior -> Events and you’ll see something like the following (which actually hit us like a hammer, because it was 147000) events in a month. On top of that come all the people that use adblockers. Awesome post, tak for det! Is there any reason why you chose to add JS instead of custom CSS classes/IDs? I’ve been creating classes with the prefix ‘gtm’ (ex. ‘gtm-share-btn’) to distinguish regular classes from Google Tag Manager classes.